You've Earned It. We'll Protect It. We use the law to protect your family, your business, and all your assets. Beliveau Law Group provides legal services to individuals, families, and businesses in Florida, Massachusetts and New Hampshire. "A legal team that takes the time to get to know you, and your legal problems." "David Beliveau’s expert testimony on trust law and Florida fiduciary law was the key to a trial victory for my client. 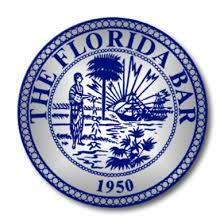 I represented a Massachusetts trustee who was administering a Florida trust. The lifetime beneficiary of that trust filed suit against my client who was a highly regarded trust attorney. 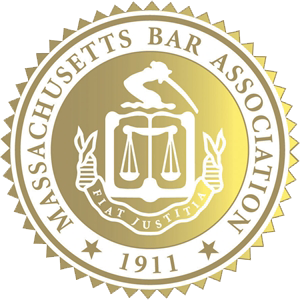 The case was complicated as it covered myriad aspects of Massachusetts and Florida trust law." "Margaret [Cross] has represented me in the past, dealing with issues of estate planning and real estate. She helped set up our homestead, a will, and other estate needs, and helped me understand why each was needed. I would definitely recommend Margaret." "David was recommended to me by a mutual friend and I was immediately impressed by his knowledge of estate planning law. He took the time to explain our options and was very honest, even steering us away from the most expensive option as it did not provide the best value at this point in our lives. David and his team provided us with a Will, Living Will, Healthcare Proxy, Power of Attorney, and HIPAA privacy documents. We would recommend David without hesitation." "Margaret was so helpful in planning our will and other documents. She is a true professional and great to work with. She explained very carefully the contents of each document to make sure we understood them. It is not often you feel this comfortable with an attorney. We would contact her again with out reservation." We are committed to obtaining the best possible result for our clients. A crucial deadline is approaching and you can help! The filing deadline for most non-profit organizations is May 15. Missing this deadline results in penalties that can devastate the organization’s budget, or worse, strip them of their non-profit status and make your donations non-tax deductible! 5 Big Questions People Are Asking The individual tax deadline of April 15 is fast approaching. Do you have all your tax arrangements in order? Here are five important questions that people are asking. When publishing notice of the death of someone who had property in different states, do I need to put that notice in each state? My grandma had said there was 1,000$ for the 7 of us. But my aunt is keeping it all. What do i do? Can I sue someone that borrowed 90.00? Have a question? Speak with us now. 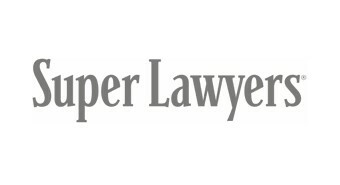 Our attorneys serve clients throughout the entire State of Florida, with offices in Naples. Our Naples attorneys serves the local communities of Marco Island, Naples Manor, Golden Gate, Bonita Springs, San Carlos, Cape Coral, Fort Myers, and the entire Naples region. We also serve the communities of Fort Lauderdale, Coral Springs, Pompano Beach, Pembroke Pines, Cooper City, Hollywood, and the entire Boca Raton area. Headquartered in Waltham, Massachusetts, our attorneys serve the entire Commonwealth with a concentration in the North Shore, Boston Metrowest, and the South Shore regions. We serve all the local communities of the Greater Boston area including Arlington, Boston, Brookline, Chestnut Hill, Concord, Dedham, Dover, Lexington, Needham, Newton, Waltham, Wayland, Wellesley, and Weston. Our New Hampshire law offices are located in Salem. Our attorneys provide legal services for clients throughout New Hampshire including the towns and cities of Atkinson, Derry, Exeter, Hampstead, Londonderry, Manchester, Nashua, Pelham, Seabrook, and Windham. We regularly serve clients who require an attorney who is licensed to practice in New Hampshire and Massachusetts or Florida.